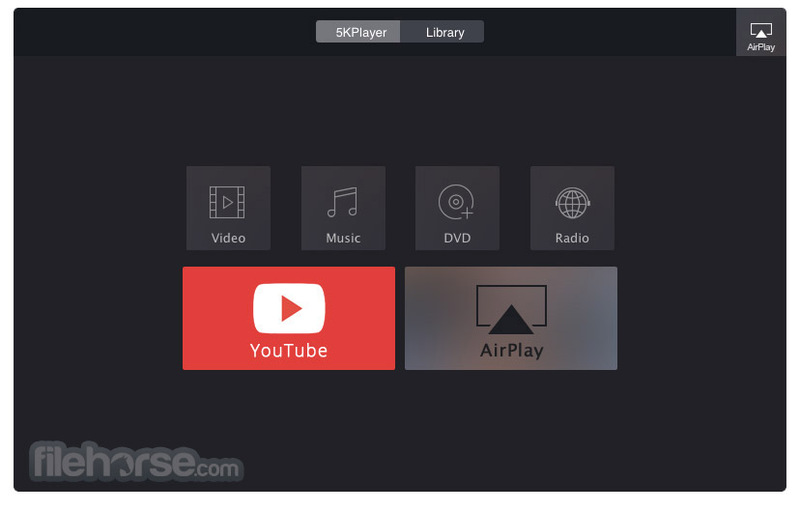 5KPlayer，內置 AirPlay 接收器，可以幫助您免費從 iPhone，iPad，iPod 和 Apple Watch 到 Mac OS X 和 Windows PC 的流媒體（音頻和視頻）。它也是一個 AirPlay 發件人免費從 iMac，MacBook 和 Windows 10/8/ 7 到 Apple TV，AirPlay 揚聲器等免費流 MP4，MOV，M4V，MP3 和 AAC. 免費高清視頻播放器是一個在線視頻音樂支持多達 300 多個在線視頻音頻站點的下載器。沒有訂閱，你可以免費下載 4K 5K 8K 超高清或 1080P 高清視頻音樂在線不僅 YouTube，而且還有 Facebook，雅虎，DailyMotion，Vimeo，Vevo，Metacafe，Myspace，Vine，UStream，MTV，Instagram，Bliptv，LiveLeak ，CBS slideshare，以及免費下載 Soundcloud 等頂級視頻分享網站的音樂. 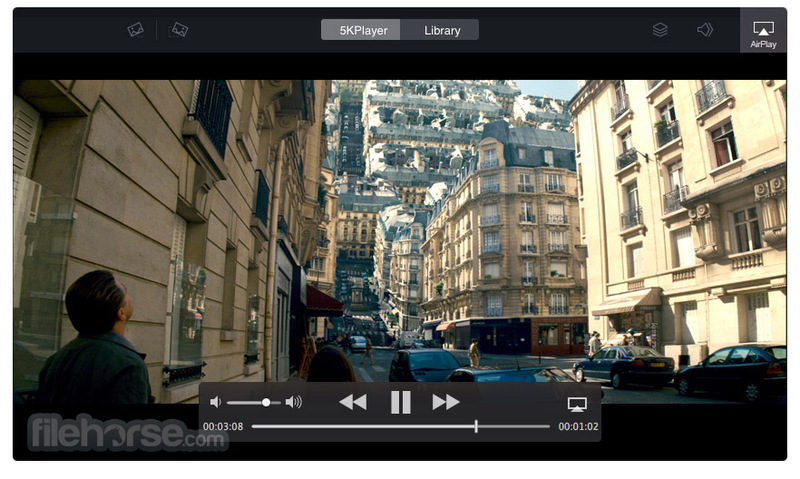 download 5kplayer 4.2, 5kplayer 4.2, 5kplayer 4.2 download free.